The State of Hidalgo has announced plans to invest 25 million USD as a seed contribution to develop a plan for a synchrotron light source in Mexico. The Mexican synchrotron facility will be completed by 2030. The facility will cost an estimated 800 million USD and its construction will take 10 years. Mexico could become the second Latin American country to host a synchrotron facility, after Brazil. Plans for a Mexican light source were presented by Mexican physicist Matias Moreno (Universidad Nacional Autónoma de México, Chair of the LAAAMP Usage &Strategic Plan Committee for Mexico) at the ICTP (Trieste, Italy) on the occasion of the LAAAMP midterm workshop on 24 August 2018. Matias Moreno at the LAAAMP midterm meeting at ICTP, Trieste. Giorgio Paolucci (SESAME) and Andrea Lausi (Elettra) are also present in this photo. 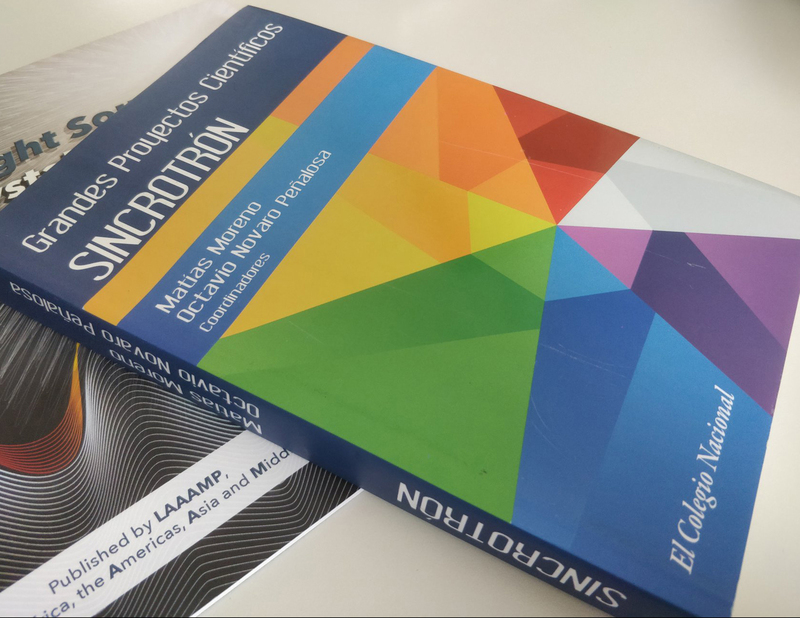 The book about the use of synchrotron radiation including an introduction to the initiative for a Mexican synchrotron edited by Matias Moreno and Octavio Novaro Peñalosa. The LAAAMP brochure is also visible. 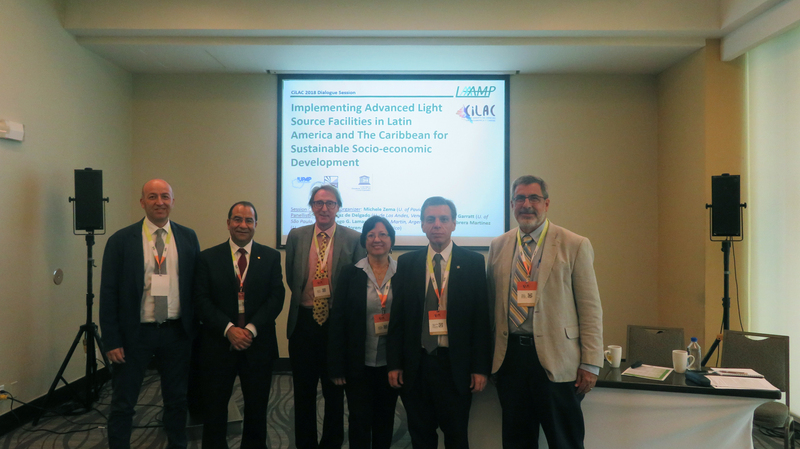 On 23 October 2018, the Mexican synchrotron initiative has been presented by Abel Moreno-Cárcamo (UNAM, Mexico; member of the LAAAMP USPC for Mexico; Coordinator or RedTULS, Mexico) at the LAAAMP session at the CiLAC Forum in Panama City. 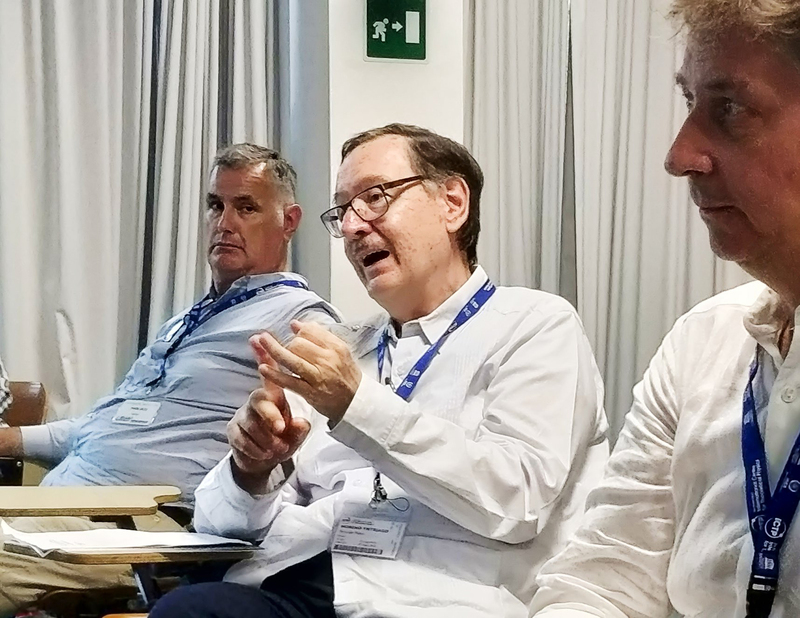 Speakers of the LAAAMP session at the CiLAC Forum 2018. From left: M. Zema (IUCr), Abel Moreno (UNAM, Mexico), Richard Garratt (University of São Paulo, Brazil), G. Diaz de Delgado (U. de Los Andes, Venezuela), Diego G. Lamas (U. of San Martín, Argentina), Carlos Cabrera Martinez (U. of Puerto Rico).